Officer Adam Howard stands with Officer Ervin de Leon in Evanston’s 5th Ward. Howard will receive the Officer of the Year award Wednesday. 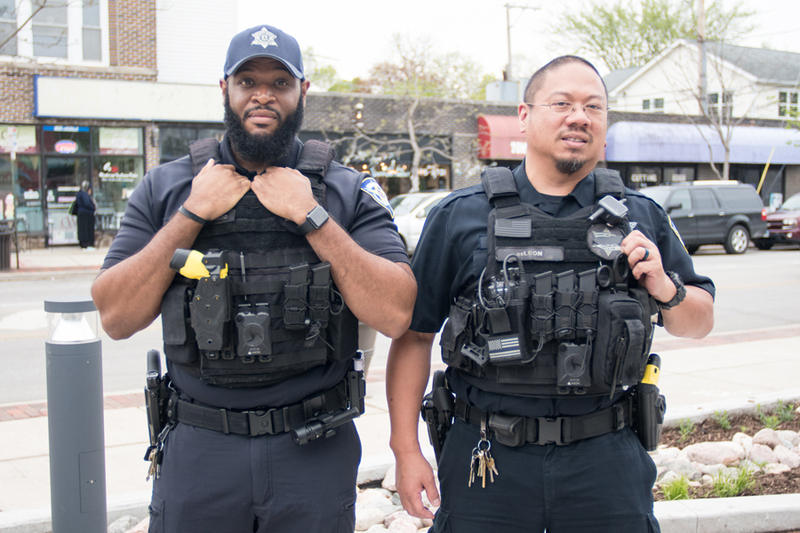 Two Evanston Police Department officers will receive Officer of the Year awards at a Wednesday ceremony hosted by the department. Officers Enjoli Daley and Adam Howard will receive the award for their community engagement efforts in the city, according to a news release. The pair will be honored alongside officers who will net awards for a wide variety of police work, including emergency responses and long-term investigations. There were more than 30 nominations for the awards. Officer Enjoli Daley talks during the information session for the new Police Explorer Program. Daley will receive the Officer of the Year award Wednesday. Daley, a 12-year EPD veteran, has worked on the department’s Problem Solving Team for the past five years, according to the release. 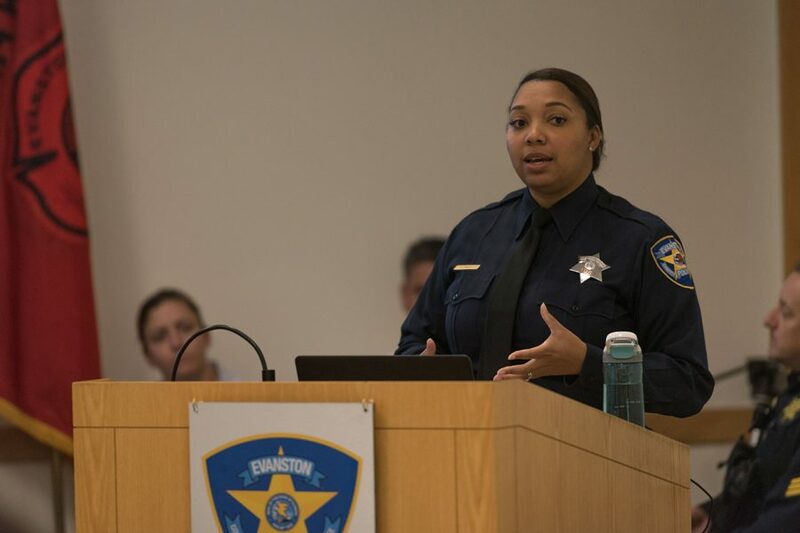 The officer currently sits on the boards of two community organizations, Curt’s Cafe and Northwest Center Against Sexual Assault, and has chaired the annual Walk a Mile in Her Shoes event that raises sexual violence awareness. Howard has also worked on the Problem Solving Team for the past three years and is a 10-year veteran of the department. He co-founded The Officer and Gentlemen Academy, an after-school mentoring program designed to “minimize disparities through education, inspiration, and empowerment so participants can reach their full potential,” according to the release. The event honoring both officers will be streamed via the department’s Facebook page.